Venetian Marco Polo (1254-1324) was the most famous medieval traveller along the Silk Road to the Far East, but he wasn't the first: his father and uncle, the wealthy merchants Maffeo and Niccolo Polo, met Kublai Khan in an epic journey that began just before Marco's birth until 1269. One of their prize possessions from this journey was a golden tablet from Kublai that acted as a VIP passport, enabling them to travel freely and get local assistance wherever they traveled in the Mongol Empire. Marco first met his father at age 15, and two years later, in 1271, he departed with Maffeo and Niccolo on even more epic journey, only returning to Venice in 1295, laden with riches. Marco, who learned four languages, became Kublai's emmisary and served in the court of the Khan for 17 years before the Polos made the two year return journey home, extremely wealthy. 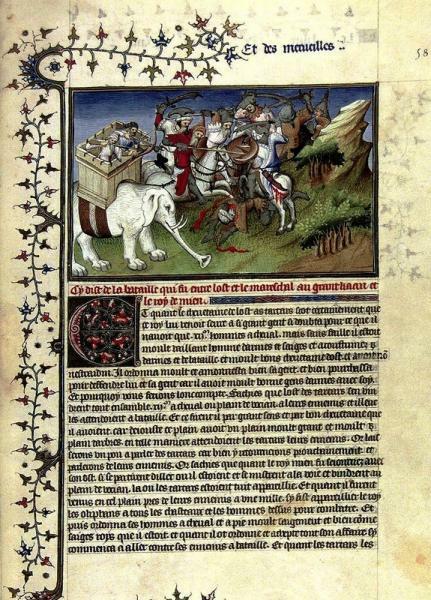 Yet what would become one of Europe's greatest and most accurate sources of information about the Far East for centuries would probably never have been known if not for the Battle of Curzola in 1298, when Marco Polo was taken prisoner by the Genoese. Stuck in the clink for a year, he dictated the saga of his travels and years at the court of Kublai Khan to his cellmate, Rusticiano da Pisa. The resulting Description of the World was known, at least in Venice as ‘Il Milion’, the million standing for the vast number of Polo’s exaggerations and tall tales. Some scholars believe that the Venetians were on to something, that Polo never went anywhere, but cribbed his book out of the Historia Mongolorum, written in the mid 13th century by Fra Giovanni di Pian di Carpine, a Franciscan missionary sent to China in 1225. Others have strongly rebutted the theory, and most now trust Polo's account; in fact he has been studied by Chinese historians, impressed by the accuracies of his accounts.